This episode of 2MF features a conversation with artist Ioana Manolache following a meeting and workshop at Wendy’s Subway on April 16th, 2016. Manolache speaks with Maria Stabio and Sonya Derman about growing up in Romania and how its religious and cultural traditions connect to her painting practice. The three also discuss the difference between ritual and habit, alchemy and transubstantiation. Ioana Manolache is a painter and video artist investigating the potential of materiality and illusion within a flat plane through an observation of found detritus. Ioana was born and raised in Romania; she completed her BFA at Cooper Union (2011) and MFA at Columbia University (2015). She was a Rema Hort Mann Artist Grant nominee (2011, 2012) and was awarded a residency at the Contemporary Artists Center at Woodside (2014). Ioana’s curatorial projects include Stirring Still (2015) at the LeRoy Neiman Gallery, Columbia University and Walls (2011) at the Cooper Union. Her work was selected as Editor’s Choice in the New American Paintings MFA publication (2015) and was recently included in Surface Tension (2015), a group show of notable graduates organized by Saatchi Art. She has also presented her work in New York City at Judith Charles Gallery (2015), the Fisher Landau Center for Art (2015), the Wallach Gallery at Columbia University (2013), the Bruce High Quality Foundation’s Last Brucennial (2014) and Milavec Hakimi Gallery (2011) among others. 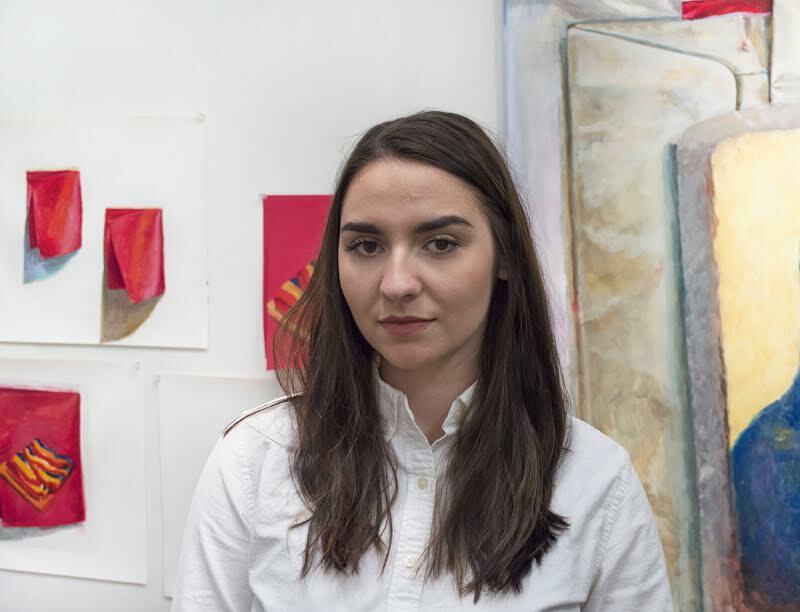 Ioana is a gallery assistant at James Fuentes Gallery and she lives and works in Brooklyn, NY. Music in the episode is from the original motion picture soundtrack to the 2012 science fiction film Prometheus. It was written by German composer Marc Streitenfeld, and conducted by Ben Foster. The clip is titled A Planet.